← Do you know how to convert PICT file to PDF file? 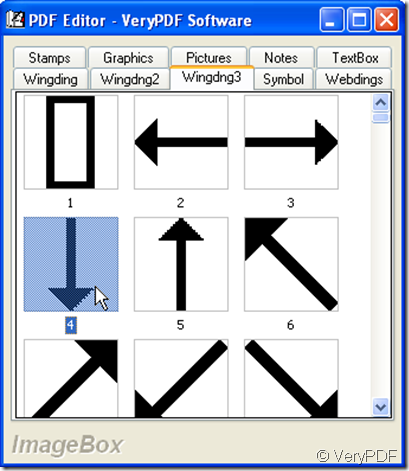 There are 208 pictures, all of them are arrow signs, and colorless. 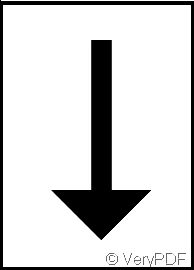 These arrow signs contain many categories, some are thin figure, some thick, and they indicate in various direction, moreover some don’t exist alone but double, the shape of the arrow signs is straight or curve and their line is dotted or full. 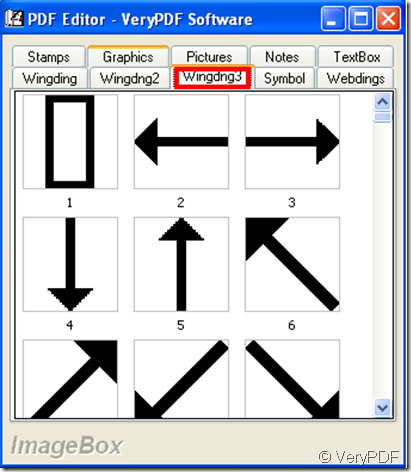 Next I introduce the way to add Wingdng3 images. 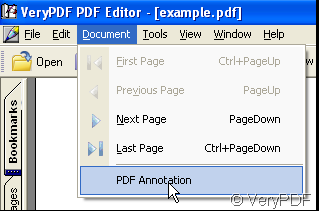 Download VeryPDF PDF Editor at www.verypdf.com then open the software and add a PDF file to it. 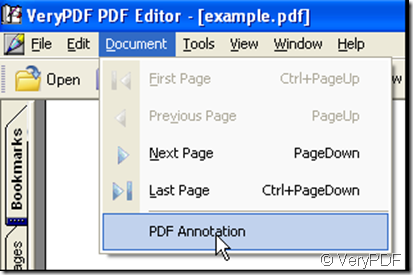 In the menu of the software you can find Document option, click it and choose PDF Annotation, thus the PDF Annotation window pops out. 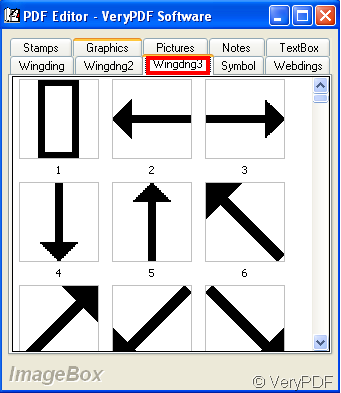 Choose one wingdng3 image as annotation, double-click the wingdng3 image, then the wingdng3 image will be added to the PDF file. 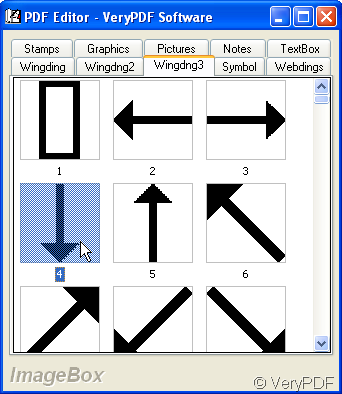 Thus the wingdng3 image has been added. This entry was posted in PDF Editor and tagged pdf annotation, pdf picture, pdf wingdng3. Bookmark the permalink.